Here is my contribution to a great little site called Woody Rather. Woody contacted me to submit a cartoon and here it is! Illustrator peeps: he has a "Call for Artists" up if you are interested in submitting. A few spots that accompanied the article! My favorite is the pig kid! Webcomic featured on Drunk Duck! 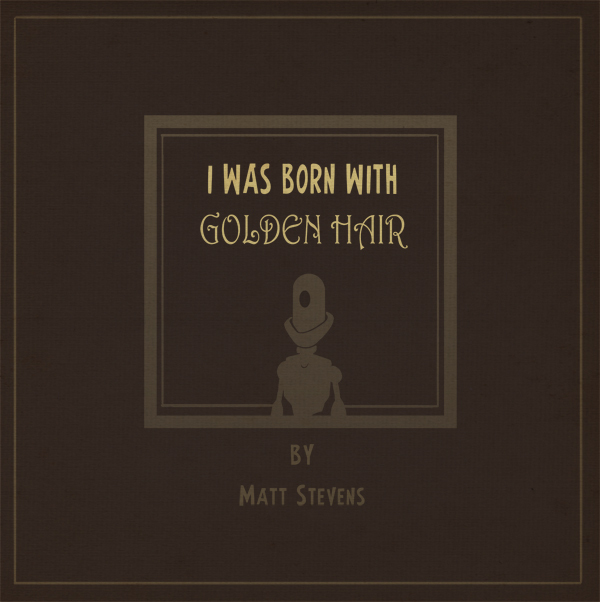 Excited that my webcomic I Was Born With Golden Hair is being featured over at Drunk Duck Here's hoping that it increases the number of eyes on it. Came during a good time because this week's comic introduces the "object" that changes Fino's life forever. 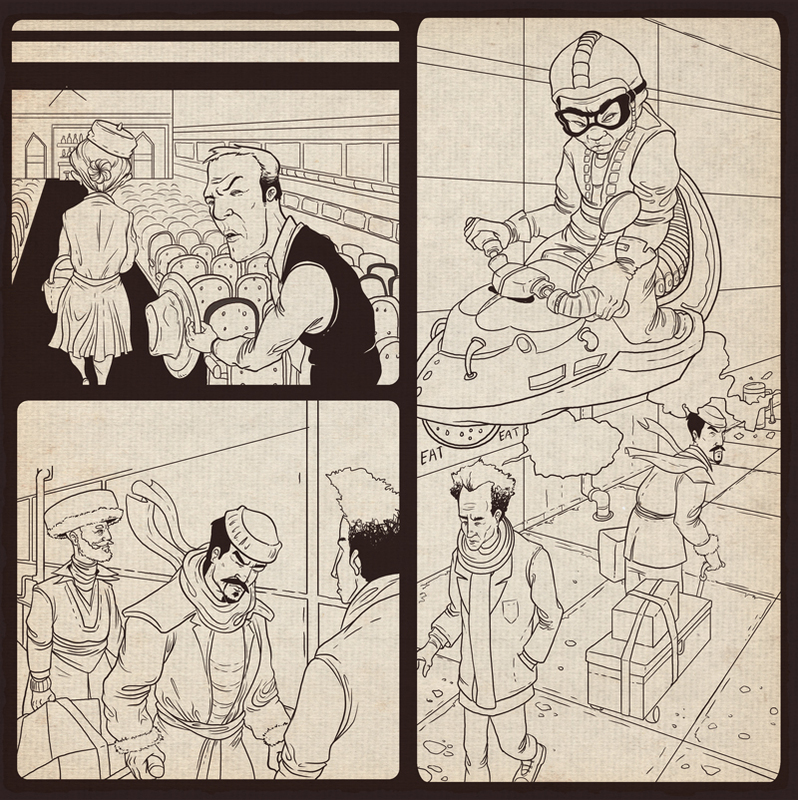 I have started posting my new webcomic on Smack Jeeves. It looks like a pretty active site and there is some good work on there. I will be posting my new webcomic on Tumblr as well, so if you are a user, please feel free to subscribe. Here is a link to my webcomic on Comic Fury. Please "Like" it! I Was Born With Golden Hair is my first webcomic. It is a science fiction story told in three parts. I am posting it here on my site, but it can also be found on topwebcomics.com, drunkduck.com, and comicfury.com Please vote for it on Top Web Comics! Here are a few of the SFBC covers scanned in. Not great scans...hmm. Maybe I had it on the wrong setting. This is a sculpture I made titled "Australopithecows". It is on display (and for sale) at the Mystic Arts Center through December. If you are out in Mystic, please stop by. I am thrilled to be part of Six Summit Gallery's show "Illumination of Imagination". Here is the piece that was accepted. It is titled "I Found This For You" and is a giclee print. The openings are November 30th and December 1st from 6-10 p.m. in Ivoryton (CT). Looks like there is going to be music, drinks, etc. Please come by and support local artists! 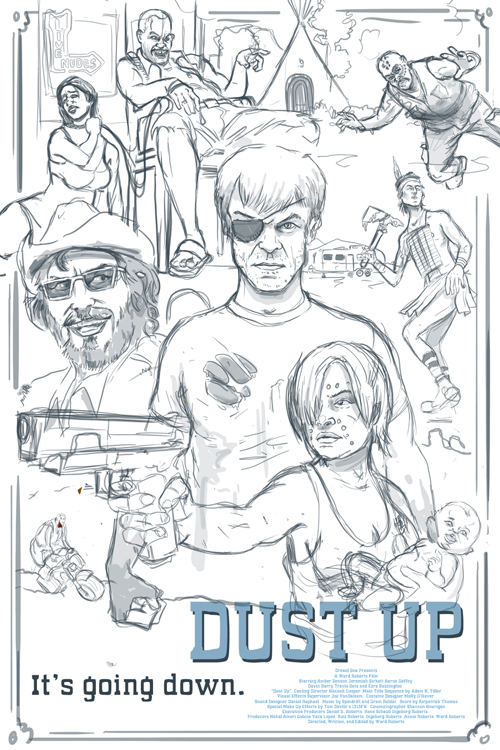 Here are some early sketches of the Dust Up movie poster I recently finished. 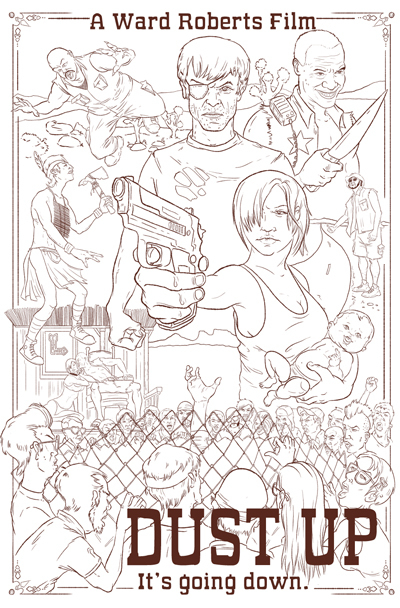 It was a challenge to fit in all the main players, the text, and have it work compositionally. Rejected sketches for new Ebook project. This is a drawing of a triggerless, computerized gun that is going to be used at the beginning of each chapter for the Ebook I did the cover for. I haven't read it yet, but the gun can do some crazy stuff...I think it's pretty badass. 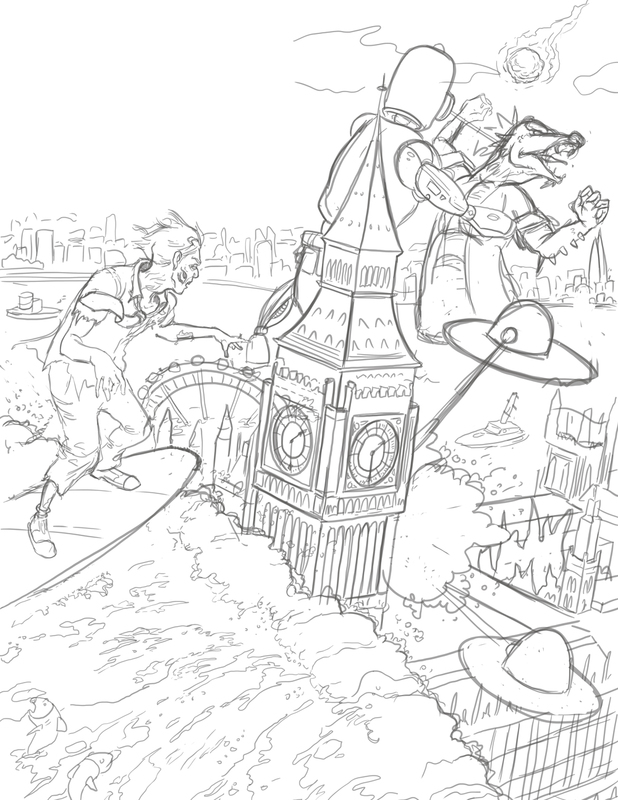 This is the line art for a new personal piece I am working on. I am so interested in drawing covers for young adult fiction, I thought it might be a good idea to have some samples in my portfolio! More to come. This was my warm up sketch tonight before getting into making yoga poses for my new project.